With 74 languages and a valid eSIM data practically all over the world, the simultaneous translator PockeTalk is the ideal companion for travel and business. How many times have you found yourself wanting to talk to a person of another nationality without finding a common language, spoken sufficiently well by both? Whether it was a holiday purchase in an exotic country or a meeting with your company’s international team, surely being able to communicate simply and effectively would be the solution to many problems. 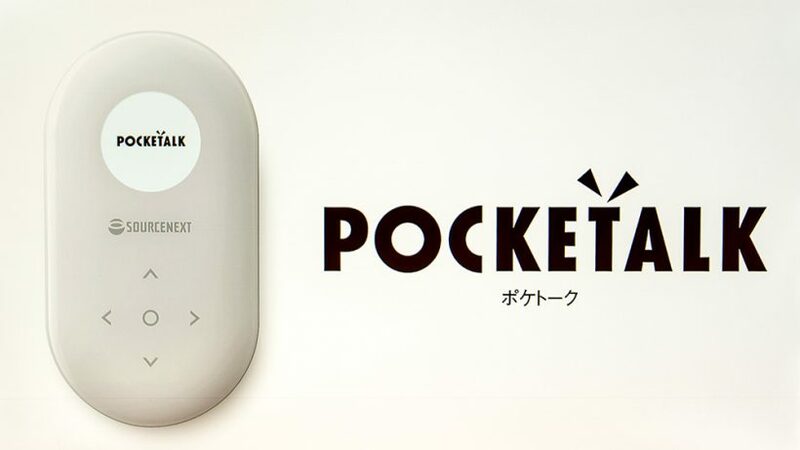 To overcome these difficulties, the Japanese developed PockeTalk, a simultaneous professional voice translator able to simultaneously translate conversations in as many as 74 languages. Inside the PockeTalk sales package, in addition to the device, there is a USB Type-C cable to recharge the battery and the manuals. 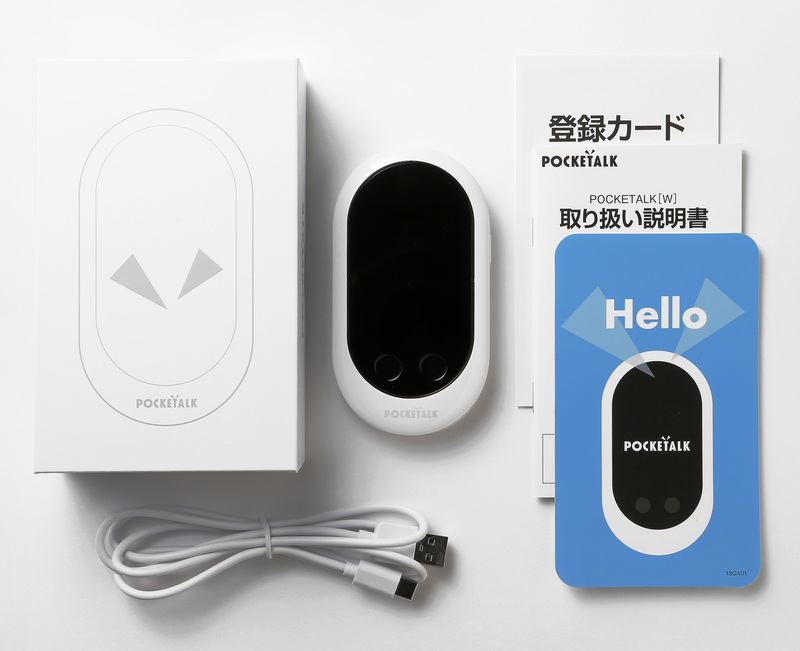 The shape of the device is reminiscent of the portable WiFi routers of a few years ago, a flattened bar of soap with a 2.4-inch touchscreen display, two buttons and two microphones with active noise cancellation on the top. On the right side there is the power button, on the left the door for a nanoSIM (there is also an eSIM inside the device), at the top the grid for the speakers (2 1.5W) and at the bottom the USB Type-C port. On the lower part there are two slots to attach a strap and always have the PockeTalk with it, for example around the neck. Inside there is a 1.3GHz quad-core processor, 1GB of RAM and 8GB of memory to manage the Android 8.1 based operating system. Connectivity includes dual band WiFi 802.11 a / b / g / n, Bluetooth (to connect to external speakers) and support for 3G and 4G LTE networks. Just to clarify, this simultaneous translator without the Internet is not able to work. The battery is 2200mAh and guarantees a use of about 7 hours of the device, a standby of up to 10 days, and a charging time of about 2 hours. The dimensions are approximately 110x60x16mm and the weight of 100 grams. PockeTalk is available in Europe in a version including an already active eSIM with 2 years of LTE data that can be used in 126 countries at the recommended price of $ 299. At the end of the two years it is possible to extend the eSIM subscription at a cost of around $ 50 a year, or use the PockeTalk with a physical nanoSIM or under a WiFi network. The version without eSIM costs instead $ 249. We brought a PockeTalk with us for a few weeks and we tested it with different conversations in different language combinations, and the result was always more than satisfactory. Once the device is switched on, it is sufficient to set the primary language for the menus and settings and we are presented with a list of 74 languages to choose from. After connecting to WiFi to check the availability of a software update (we received two updates in less than a month, a sign that the company works to keep the device at its best) and to set the font size and brightness we selected two languages for the conversation. At this point it was sufficient to press the button under one of the two languages chosen, wait for the acoustic tone to indicate that the device was listening to us and then speak; as soon as we finished, we immediately heard our sentence translated into the second language and our interlocutor was able to answer following the same procedure. The advantages compared to using an app with free simultaneous translator on your smartphone are many: first of all, we have a compact and lightweight device that we can easily switch to a stranger without risking that personal information appears on the display. Furthermore, the presence of an eSIM valid in 126 countries of the globe is also a considerable advantage, given that we will not always have the possibility of using the data connection of our smartphone during a transit in a foreign country. 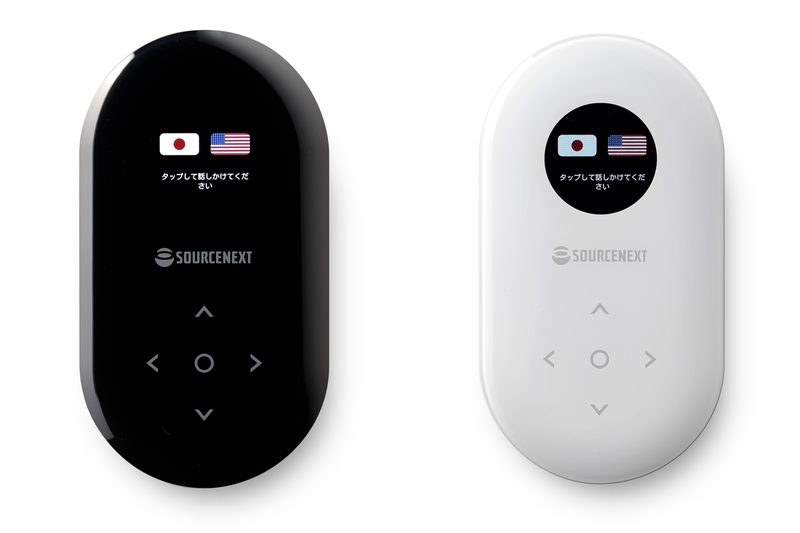 And then Sourcenext continues to work to increase both the number of countries covered by the data connection included (only 17 new countries were added in the first two months of 2019), and the number of languages supported by PockeTalk. To conclude, we can only promote this little gem with flying colors. Whether you need to go on vacation to a remote location that you don’t know the spoken language of, whether you want support during a business meeting with an international team, PockeTalk is a small and light object to have always behind and ready to come rescue.